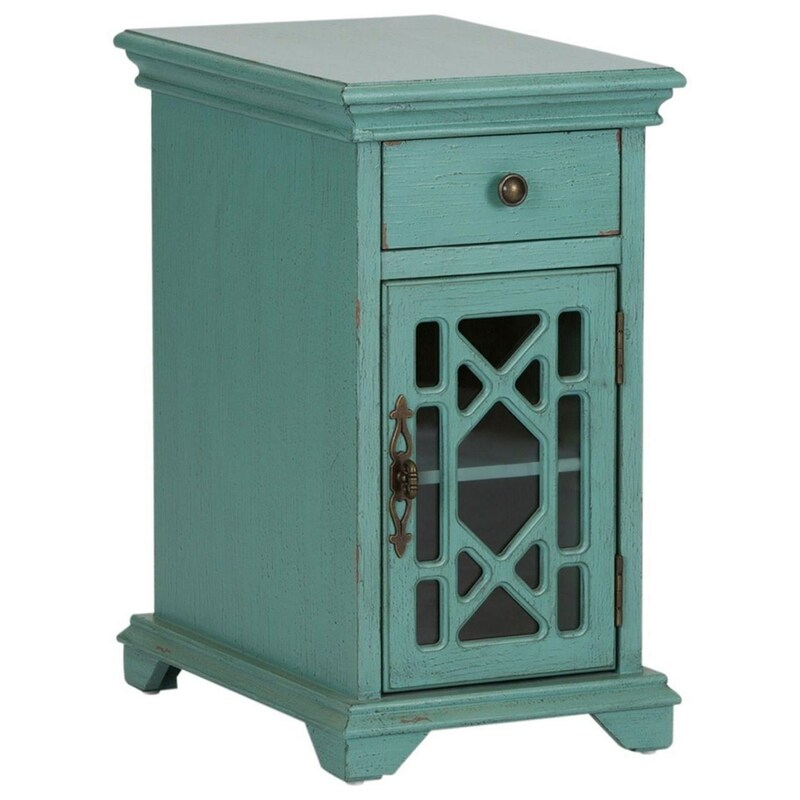 Add a splash of color to your room with this cottage accent cabinet. With a glass grid trellis door design, showcase your favorite books and trinkets from a place of safety. For items to be kept out of reach and out of sight, the drawer offers an extra storage space to keep your items neat and nearby. 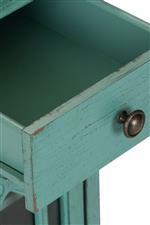 The Ashvale Cottage 1 Drawer 1 Door Accent Cabinet by Liberty Furniture at Miskelly Furniture in the Jackson, Pearl, Madison, Ridgeland, Flowood Mississippi area. Product availability may vary. Contact us for the most current availability on this product. Need a little color and extra space in your life? 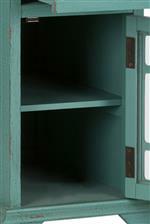 Add this cabinet as the perfect accent to your space. 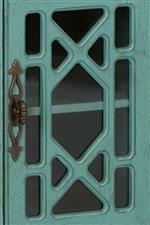 With a clean and simple look created by the use of straight lines and simple trellis designs, the piece adds metal accents and wood weathering to create a cute cottage couture. The Ashvale collection is a great option if you are looking for Cottage furniture in the Jackson, Pearl, Madison, Ridgeland, Flowood Mississippi area.